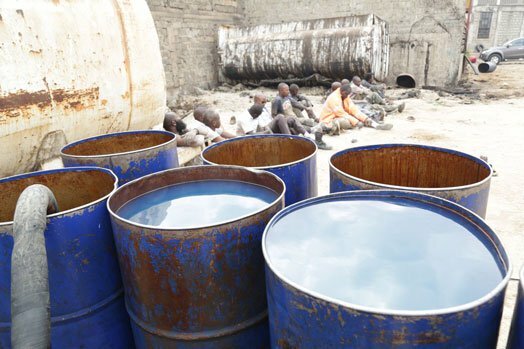 Energy Regulatory Commission (ERC) in conjunction with the police had at least 99 people arrested for operating unlicensed petroleum storage facilities in Industrial Area, Nairobi. The commission said that the suspects were apprehended during a raid targeting 12 unlicensed premises. The suspects who were arrested on Thursday night, the ERC noted will face charges that will include construction and operation of petroleum storage facilities without a permit. They will also be charged for possession of adulterated and export-bound motor fuels. 62,350 litres of super petrol, 160,100 litres of diesel, and 159,200 litres of kerosene were reportedly seized during the raid. “All the 12 sites that were found to have contravened the regulations will be demolished,” ERC said. Motorists have been advised to turn to the commission should they experience jerking, excessive smoke from the exhaust, loss of engine power and engine stalls after fueling. They have been urged to always obtain receipts or retain SMSs for mobile payment as evidence of purchase.